As you get older or if like us, disability has made climbing stairs difficult, it’s hard to underestimate the benefits of getting a home stairlift fitted. For nearly 4 years, Bridget struggled climbing the stairs. I can only imagine the long-term effect this had on her joints. During this time, Bridget found herself virtually a prisoner, reduced to living upstairs in order to avoid unnecessary pain. When Bridget needed the toilet, it was a trade-off between the pain of getting there or having an accident. It was easier to stay upstairs, but nobody should have to live that way. In the end, something had to give and because our stairs were unsuitable for a stairlift we were forced to move house. I can’t tell you how difficult it was. Something as simple as a set of stairs meant leaving our home, community and friends. It meant the kids had to change their school and leave their friends. This was a big deal for them. It was an upheaval none of us enjoyed. 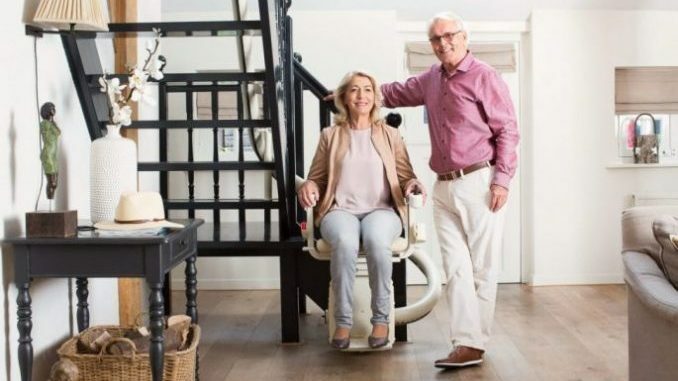 It’s hard to underestimate the benefit of having a stairlift because as you can see, there is so much more to it than simply going to the toilet. Thankfully, we now live in a house that does have a stairlift. The lift not only gives Bridget a small amount of Independence, but it now means she can access the whole house. Also, since my health has deteriorated, I use the stairlift when I’m struggling. In fact, immediately after my operation, the stairlift meant I was able to come home to recover instead of taking up a bed in the hospital. Let’s take a closer look at the benefits of getting a stairlift fitted. Anyone who struggles climbing stairs will understand that these benefits are not insignificant, they are huge. #1 Independence – In my opinion, this is the big one. We all get old and most of us will develop mobility problems in later life. 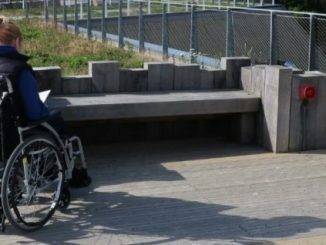 Coming to terms with losing your mobility can be difficult. But, it doesn’t mean you have to lose your independence. Get a home stairlift fitted and regain your independence. Don’t let a set of stairs be a barrier to living independently in your own home. #2 Safety – Another biggy. Be honest, how many times have you felt unsteady on the stairs? How many times have you stopped half way up because you feel light-headed or needed a breather? I have, its happened to me plenty of times, and I’m supposed to be the fit one. I’ll let you into a secret, going up and down stairs on your backside isn’t safe. It might feel safer, but it isn’t and frankly, why should you? #3 Enjoyment – Home is meant to be our safe space, where we’re comfortable, where we can relax, it’s supposed to be our castle. But, if you’re stuck upstairs like Bridget, or if you dread the thought of bedtime or needing the toilet, how can you enjoy it? 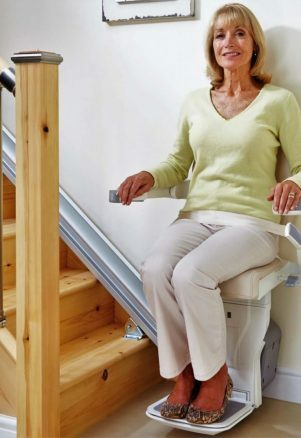 Something as simple as fitting a stairlift can give you your freedom back. It can give you the confidence to move around and enjoy your home. As you can see, a stairlift is much more than a mobility aid. It’s a simple solution with massive upsides. 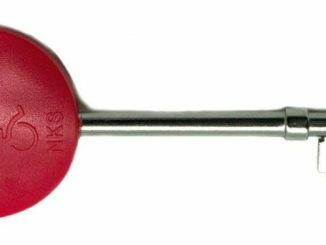 It can help you live happily, safely and independently in your own home. We live in an age when technology is making everything, smaller, faster, better and stairlifts are no exception. This means, within reason, virtually any set of stairs can be fitted with a stairlift. As the name suggests, a straight stairlift is ideal for stairs with no corners. Straight stairlifts are the easiest to fit and often cheaper. For stairs with bends or curves, a curved stairlift is needed. Understandably, there are more moving parts and additional fitting costs so you can expect to pay extra for a curved stairlift. 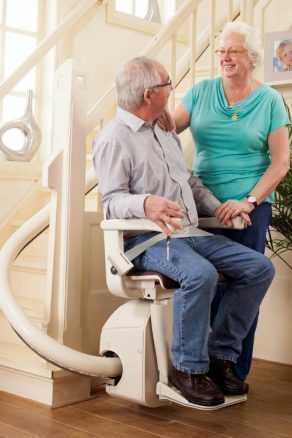 What’s Involved in Getting a Stairlift? The first thing you need to do is to talk to a trained stairlift assessor. The assessor should explore and understand your individual mobility needs. They’ll answer any questions you have, and confirm whether a stairlift is a suitable solution for you. The next step is to arrange a home visit. During the visit, the assessor will inspect your stairs for suitability, talk you through your stairlift options and explain if there are any special arrangements needed. You should be given a free quotation and never be pressured into buying a stairlift. Fortunately, modern design means getting a stairlift fitted is usually straightforward. Straight stairlifts can be fitted in just a few hours with minimal disruption and very little mess. Curved stairlifts take a little longer, most installations take less than half a day. On the day of fitting, a trained stairlift engineer will install your stairlift and show you how to use it. It’s impossible to give a straight answer to the question “How much does a stairlift cost?”. The reason being is that there are so many variables including your stairs, the type of stairlift you need and of course the company you choose to buy from. One thing I would say, make sure you buy your stairlift from a reputable company. For instance, Age UK Mobility supply stairlifts and they offer a price match guarantee so you always get the best price. If you can afford it, always buy and new stairlift because they come with a warranty and the support of the company you bought it from. For some people, the cost of buying a stairlift can be reduced by paying no VAT or applying for a Disabled Facilities Grant from your local council. It’s also worth exploring any other charitable grants which you can do Here. In answer to the question “How much does a stairlift cost?”, the answer has got to be it depends on your stairlift installation. A stairlift is one of those purchases where the benefit outweighs the cost. And let’s be honest, what price can you put on your safety and independence? If you’ve been pondering whether a stairlift is right for you, hopefully, I’ve demonstrated the benefits. From experience, anything you can do to reduce the impact of diminishing mobility, do it. If you struggle with stairs, maybe it’s time to get a home stairlift fitted.